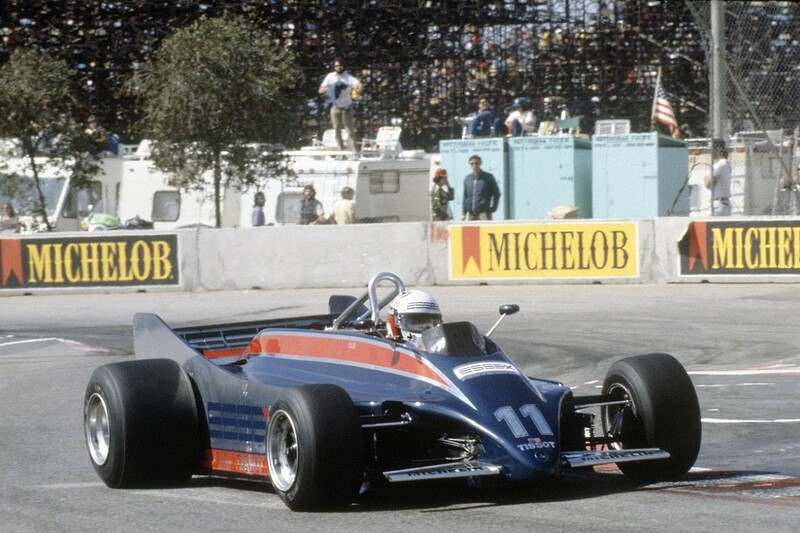 At the 1981 season-opening grand prix in Long Beach, Team Lotus driver Elio de Angelis was black-flagged in the first practice session. While the scrutineers were happy that their Lotus 88 cars complied with the rulebook, FISA - the FIA's subcommittee responsible for governing Formula 1 - was less so. The team's innovative twin-chassis concept, built into the 88 to push the limits of what ground-effect aerodynamics could achieve, was judged to be completely illegal - being barred from even leaving the pits in practice for that year's US Grand Prix West. At the start of the '80s, the ground-effect revolution was already out of control. 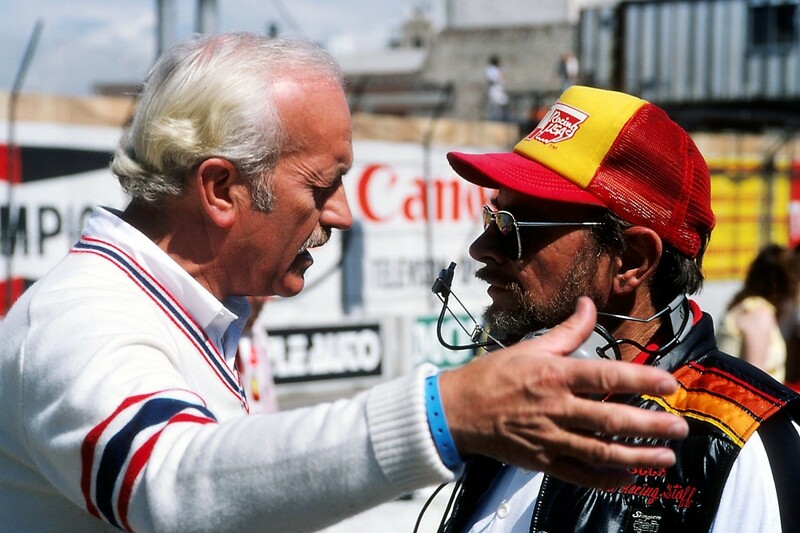 Like most tide-turning innovations in F1's history, it was up to one of the sport's greatest visionaries to light the touchpaper: Colin Chapman, a genius wrapped in a moustache and a sporadically-airborne black corduroy cap. With engineers Peter Wright and Tony Rudd - the latter of whom had briefly experimented with a Venturi-style underbody in the late '60s with BRM - Chapman studied the possibility of exploring 'ground effects' with the replacement for the long-in-the-tooth Lotus 72. During early windtunnel tests, Lotus found that by positioning an aerofoil close to the ground, the air underneath began to accelerate as it was squeezed through a smaller gap, developing a point of suction. Creating a lower-pressure zone under that aerofoil, Chapman and his team recorded an increase in downforce, known as the 'ground effect'. To exploit this on a larger scale, the sidepods of the new Lotus 78 - introduced in 1977 - became two huge inverted wing profiles sealed with skirts. This was able to create plenty of downforce, but crucially without much of a drag penalty - "something for nothing", as Chapman famously mused. Soon, everybody was buying into the ground-effects phenomenon. The speed of the F1 field - especially around corners - soon began to approach horrifying levels, and track safety was still hardly in a position to cope. Ground-effect cars were also incredibly capricious, and even the most minor of upsets to the airflow under the car could completely wipe out its handling. As high-profile incidents became more common, something had to be done. 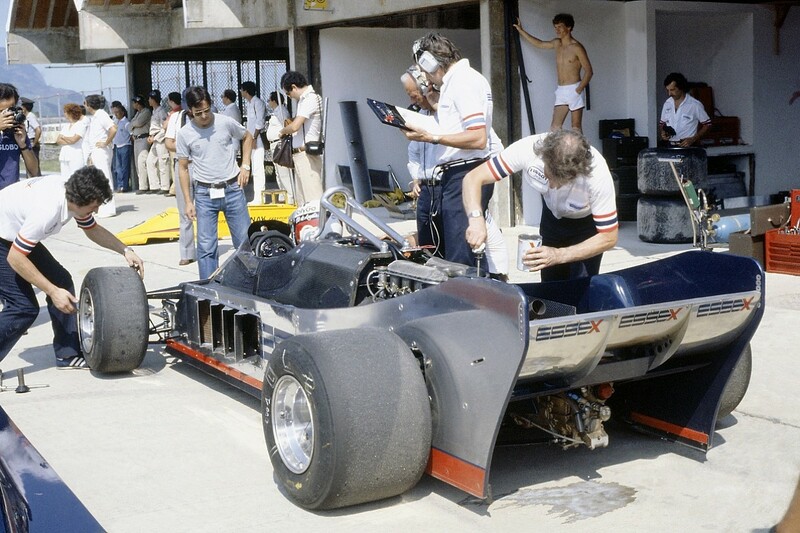 In 1981, FISA president Jean-Marie Balestre announced that all flexible sidepod-mounted skirts on Formula 1 machinery would be outlawed, reining in the exploitation of ground effects across the board. The new ruleset dictated that all cars had to meet a minimum six-centimetre ground clearance, cutting the downforce on offer even further. Designers were encouraged to return their attentions to more predictable wings for downforce, and while underbody flow remained open to development, it certainly wouldn't be to the same degree. At least, that was the intention. Perpetually seeking new design ideas to gain an advantage, Chapman spotted an apparent loophole in the new 1981 regulations, hoping to be able to have his cake and eat it - potentially while leading Lotus back to the front of the pack. Joined by Wright, Rudd and Martin Ogilvie, he came up with a solution that not only circumvented the new regulations, but also dialled out a slight caveat of the ground-effect cars. While the drivers were able to wrestle the most dangerous corners on the F1 calendar at ludicrous speeds, they were becoming exposed to larger g-forces. 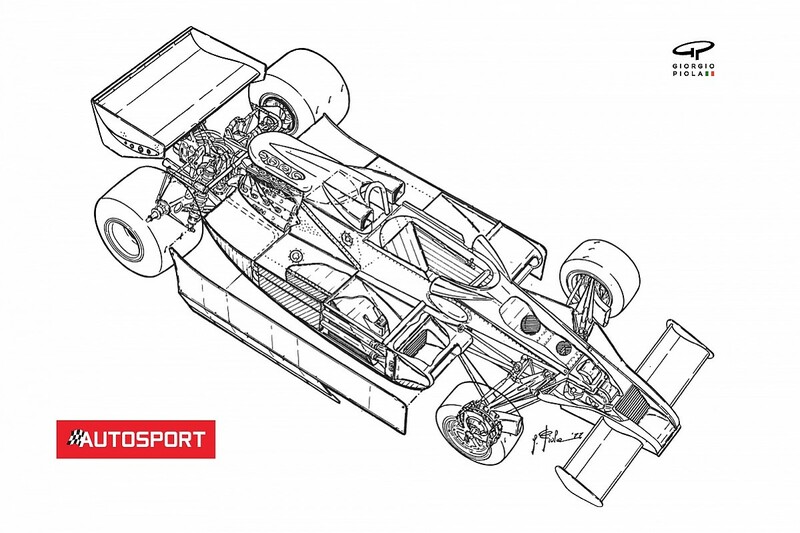 To ensure that the underbody could retain the differences in pressure required to maintain the ground effect, teams were making the suspension geometry as stiff as possible. This kept the car at a more consistent ride height, but it also reduced the steering responsiveness. Crucially, there was also plenty of impact on the drivers, not only causing terrific pain to their lower backs but the vibrations also resulted in bouts of nausea for some. 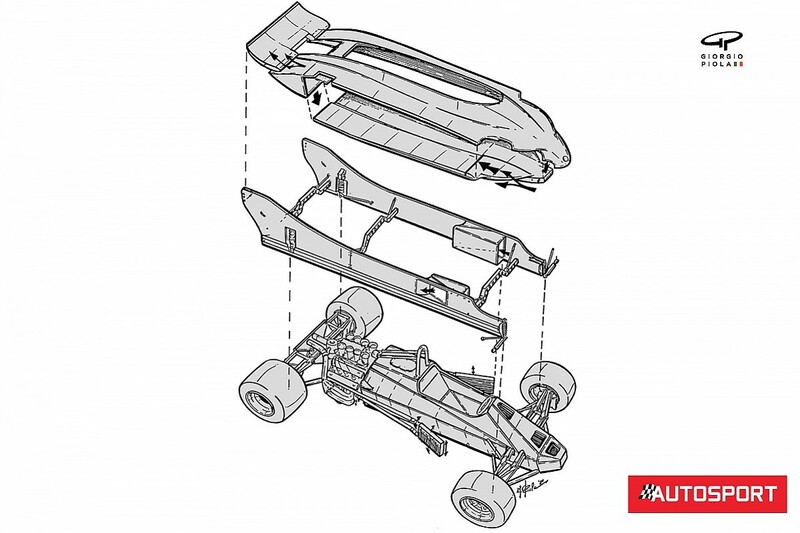 So Lotus happened upon a more driver-friendly solution that could still exploit the advantage of ground effects: a twin-chassis design, one inside the other. This became the Lotus 88, one of F1's most controversial designs. The inner chassis was a carbonfibre monocoque, immediately drawing on the concept pioneered by McLaren in its groundbreaking MP4/1. A conventional design for the time, the driver and all the internal components were squeezed into a tight package. The real difference was in the suspension and, to boost responsiveness and driver comfort, Lotus offered a softly-sprung inboard system which reduced the impact of road shocks. If one was to put soft springs onto a regular ground-effect car, the unsteady underbody flow can unsettle it very easily, especially as the car rolls and pitches. To keep the sidepods at ground level, the outer chassis had its own suspension - attached to the wheel uprights with a stiff air-spring damper, the outer chassis was able to cope with the hefty aerodynamic loads. As the inner chassis could move and react to the track as required, the outer chassis was practically immobile, save for being able to drop closer to the ground at high speeds. Since the regulations didn't specify when the car had to meet the minimum ground clearance, Lotus could cheekily recover the benefits of the banned skirts on the track, while meeting the regulations when stationary to meet the approval of the stewards. Lotus's system of keeping the second chassis low was found in a pressurised gas arrangement, which would return the chassis upwards to assume its rules-compliant position when not running at speed, but do so slowly so that, in the event either driver lost forward acceleration, the disruption to the underbody flow was minimal. As the car's sidepods were mounted separately, its floor could remain sealed and reduce any buffeting of the underbody flow, keeping the massive amount of suction as constant as possible. While other teams were experimenting with lowering the car on-track to extract the most performance possible (Brabham used a particularly ingenious hydraulic system to press the car to the road), the rigidity of their suspension set-ups made the cars very difficult to drive. Meanwhile, the Lotus 88's intuitiveness was popular with Mansell and de Angelis, who were immediately quick in its first test at Paul Ricard - perhaps, all things considered, too quick. With Lotus having displayed such searing pace out of the box, the other teams were in sufficient enough uproar to launch a slew of protests in its direction before the season had even begun. Chapman, however, was undeterred and was insistent that the 88 was fully legal, ordering the team to pack up the cars and ferry them over to California for the Long Beach season opener. Perhaps having predicted torches and pitchforks in the paddock, Lotus also took a pair of modified 81 chassis across the Atlantic to err on the side of caution. Incredibly, the Lotus 88 passed scrutineering, but FISA soon intervened. Adamant that Lotus was using moveable aerodynamics - banned in the technical regulations - F1's governing body black-flagged both Mansell and de Angelis during opening practice before they could even set times, forcing the duo to switch to the 81 cars in reserve. This became a recurring theme at the next few rounds; scrutineers in both Brazil and Argentina were happy that the car complied with the 1981 regulations, but FISA was not - eventually ruling the 88 illegal after Lotus's third attempt to run the car during an F1 weekend. Lotus's first official appeal, after the Argentinian Grand Prix, was unsuccessful. Chapman argued his case in court, even bringing in a collection of engineering academics to dissect their interpretation of the rules. Chapman's defence hinged on the regulations' definition of the words 'chassis' and 'sprung parts', and tried to convince the powers that be that his car consisted of two sprung parts and no chassis. Therefore, by his count at least, the 88 was totally legal. Despite Lotus's huffing and puffing, FISA stood firm, unwilling to accept such a circumvention of the regulations. 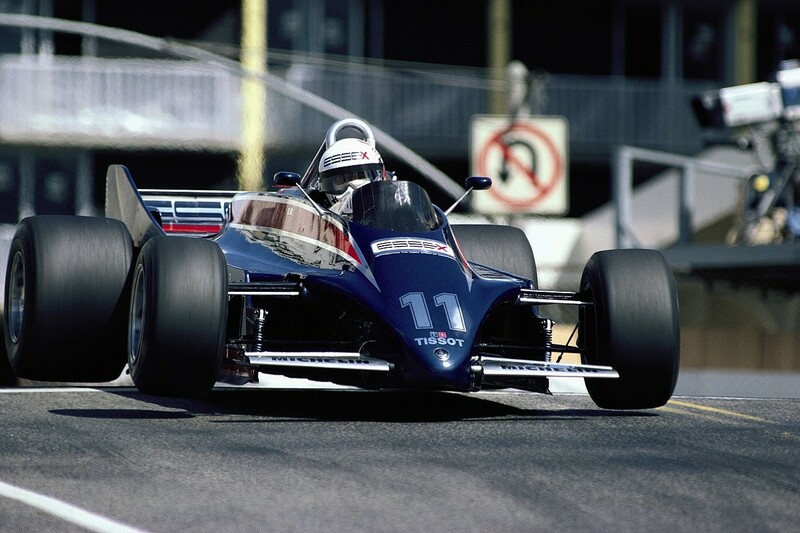 Incensed, Chapman pulled Mansell and de Angelis out of racing in the next round at Imola. He was forced to use the ageing 81s again at Zolder, the 88 design serving as the basis for the conservatively conceived 87 car used for the first time in Monaco - minus the twin-chassis layout to placate FISA and the teams' union, the Formula One Constructors' Association. At the time, relations between between FISA and FOCA were overwhelmingly strained, but the majority of protests over the 88's legality came from FOCA's members. Wright, speaking some years later, suggested that the decision to ban the Lotus 88 was FISA's thinly veiled olive branch to FOCA. Regardless, Chapman refused to accept the decision and refused to give up on his brainchild. Returning to the drawing board, Lotus's design team gave the car a slight reworking, moving the radiators' attachment points to the outer chassis and tweaking the bodywork. He presented the cars - now designated 88B - to the scrutineers linked to the Royal Automobile Club in an attempt to get them onto the grid at Silverstone. Agreeing with Lotus on its interpretation of the rules, the RAC gave Chapman's men the thumbs up ahead of the British Grand Prix, finally unshackling the 88B for free practice. But just as Chapman thought he'd turned the corner, the car was officially banned the following morning for good, prompting another sudden flurry of modifications as it was rolled back to the 87 specification. Mansell failed to qualify for his home grand prix to rub salt into the wound. Lotus gave up on the cause after that, limping on with the 87 chassis for the rest of the year. Ground effects were completely eliminated two years later, meaning that the concept of the Lotus 88 was never able to show its true potential. And so began the team's eventual decline; the death of Chapman at the end of 1982 clipped Lotus's wings and quelled its streak of innovative genius, of which the 88 was arguably the last flourish.